It would be much easier for consumers if every moving company used the same template for their international moving quotes. Unfortunately, every company has their own version and — to make things even more complicated — each one uses different terminology. 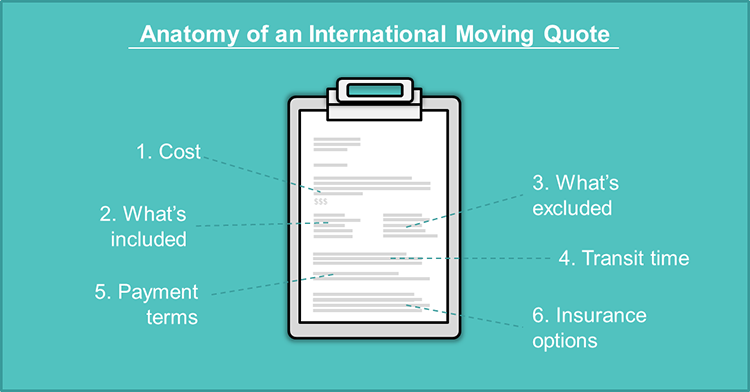 This makes it very difficult to compare quotes from different moving companies and determine how much it will cost to move to another country. Still, there are some basic things that should be included on every quote and it’s important you understand them. We’ll walk through the major items to look out for in this post so you’ll be in expert in no time. Note: All of the images below are from actual moving quotes that expats have asked us for help with. Movers in our network use our standardized template to make it easy to see what’s included in the quote and compare quotes, but we still help out expats who haven’t used GoodMigrations to find a mover. Moving to a new country: it’s exciting, it’s exhilarating, and maybe it’s just a little bit intimidating. Making sure you have all your finances in order before you hop on that plane will help you feel a little more secure and confident when you get to your new home. Here’s how to get started. First thing’s first. Be clear about why you’re moving abroad and what you hope to get out the experience. Did you get a promotion? Or are you planning on being a digital nomad and freelancing your way through Europe? Are you working as a sailing instructor in the Bahamas and traveling the Caribbean in your free time? Knowing what you want to get out of your experience will help you prioritize your budget and allow you to spend more on the things that really matter to you. 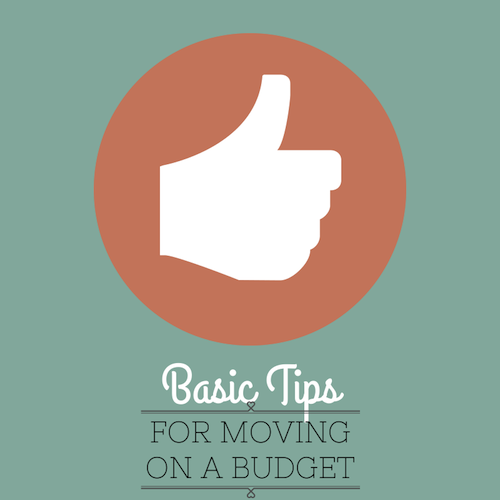 Make a list of any financial obligations you’re taking with you when you move. These might be student loan payments. If you’re a homeowner you’ll still need to consider that mortgage payment in your plans even if you’re renting or Airbnbing your house while you’re gone. Everything will probably turn out fine, but there’s always a chance your renter falls through or you can’t fill up your Airbnb schedule. You’ll need to have some savings set aside to step in with the mortgage payment if that does happen. When moving overseas many of us instantly think about where we will move, what we will ship, and how everything will get there. It is not uncommon for us to forget about one very important family member… our pets. Whether you are relocating abroad with a cat or dog or some other furry (or feathery) friend, our pets are family members and moving pets overseas requires research and careful consideration. The cost of moving to a new country can be expensive endeavor…particularly as you get older and accumulate nice things. When you are young and single, it’s easy to sell all your stuff, pack a few suitcases, and couch surf until you get on your feet. However, for many (most?) of us this is not a realistic scenario. Most of the time we do need or want to take the things we own with us when we move abroad. After all, some have sentimental value, others are just too costly to replace in your new destination, and sometimes your couch just fits you perfectly and you’d never give it up. One thing is consistent across movers, however: whether moving internationally for work, retirement, or some other reason, cost (and budget) is usually top of mind. Shipping your stuff is typically the biggest cost of an international move unless you’re dealing with lawyers to help with a visa. It’s no surprise that different cities around the world have different costs of living. After all, global metros like New York, London, and Singapore are constantly making “Most Expensive Places” lists while digital nomads and retirees jump ship for more affordable places in South America and Asia. But what can be surprising is just how different those costs of living can be and why the spread is so wide. For example, the most expensive housing can be found in Luanda, Angola thanks to a shortage of accommodations for the expats working in the oil industry. You can expect to pay an average of $3,500 per month for a roof over your head there. Meanwhile, about 4% of that will get you a place in Karachi, Pakistan. Interested in a pint after work? Alcohol isn’t permitted in the United Arab Emirates cities of Dubai and Abu Dhabi unless you’re a non-Muslim and have a license. A cold one will cost you $11.45 and $9.77, respectively. But if that’s too rich then head north to Ukraine, where you’ll pay less than $1. To see other examples of extreme cost of living around the world, check out our infographic below. We cover the five most expensive and least expensive places on the planet and show you where basic items like housing, coffee, beer, a fast food meal, and a pair of jeans are outrageously pricey or super cheap.